The Calicut University Result 2019 for admission test conducted in the year 2018 will be published online. CU Rank List 2019 will be published on www.cuonline.ac.in after the exam. The applicants who will participate in the CU courses entrance exams will see their results online. The result will be available on the official website or a direct link will also be provided here for the ease of the desired students. Rank list will be prepared on the basis of total marks secured by the candidates in the entrance examination and will be published on the websites www.cuonline.ac.in/www.universityofcalicut.info. No direct intimation will be sent to individuals for the counselling/admission. Calicut University will release the list provisionally of selected candidates for counselling for CU admission 2019-20 based on different criteria as prescribed by the University. 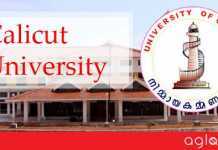 How to check the Calicut University Result 2019? Candidates have to visit the official website www.cuonline.ac.in to check the result or click on the direct link provided here. Search for your Registration ID, Roll No, DOB etc. in the opened document. Rank and Name are written corresponding to each Registration no. Candidates are advised to take a printout of the result for future use till the admission process is over. The result is very important for all the candidates. By this, all the candidates can know about their real performance in the Examination. So all aspirants need to visit the official website to get all the Result for various courses for which they have applied. Insofar, Only application form and its details for Calicut University UG/PG Entrance Exam 2019 has been released only. rest of information is based on last year information brochure and for reference purpose only. 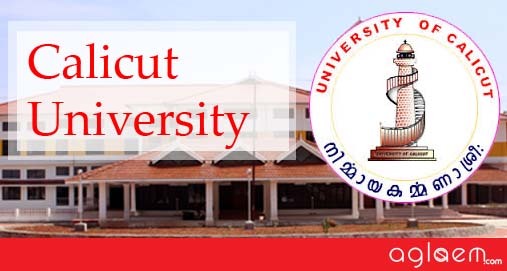 As soon as Calicut University releases Calicut University UG/PG Entrance Exam 2019 Information Brochure, details will be updated here.